Standard homeowners and renters insurance policies include some coverage for jewelry and other precious items such as watches and furs. Like other belongings, high value items are covered for losses caused by all the perils included in your policy such as fire, windstorm, theft and vandalism. However, there are special limits of liability for certain items, meaning that the insurer will not pay more than the amount specified in the policy. One important limit is for the theft of jewelry. To keep coverage affordable, because jewelry can be easily stolen, standard policies have a relatively low limit for theft coverage, generally $1,500. 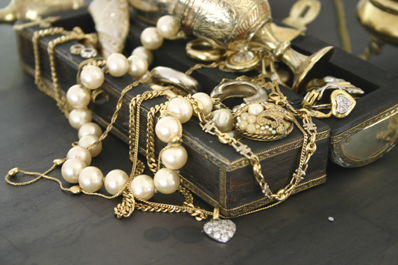 If you own valuable jewelry or other items that would be difficult to replace, there are two ways you can increase coverage: by raising the limit of liability, or by “scheduling” your individual pieces through the purchase of “floater” policies. Raising the limit of liability is the least expensive option in terms of insurance premium cost; however, there is generally a limit on the amount you can claim for the loss of any individual piece, say $2,000, when the overall limit is $5,000. Scheduling each piece or item may cost more in premiums, but it offers broader protection because the floater covers losses of any type, including accidental losses—such as dropping your ring down the drain of the kitchen sink or leaving an expensive watch in a hotel room—that standard policies do not cover. Before purchasing a floater, the items covered must be professionally appraised. Your insurance company may be able to recommend a local appraisal firm.